My research interests have always been on the process of writing, and I am generally concerned with how the manuscripts we have, have come into existence (scribal authority, authorship in general, codicology, paleography, etc). A more or less recent development in manuscript studies has been scribal identification, while scholars trace their contributions to different manuscripts and make predictions about their lives in order to better attribute intentions to their emendations. However, something that I had not encountered, and for whatever reason hadn’t considered was the idea of the female scribe. He asked what the instrument on the table next to Mary was. Honestly I had no idea, I was very tired, and I jokingly replied “a slingshot?” (it really does look like one, and as I have said before, after I reach a certain point of exhaustion I probably should have the Internet taken away from me). Several other people replied with actual answers, and as it turns out, it is a pen case with an inkwell. 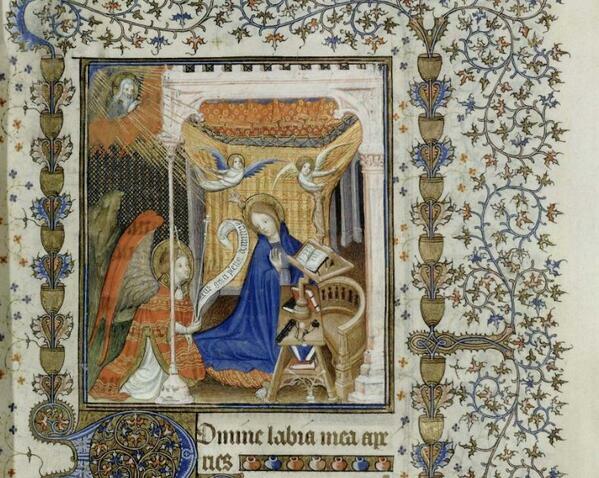 As that question was answered, another one emerged: why does Mary have writing instruments? I have never seen her depicted with them, and the majority of Marian depictions, even of the Annunciation do not include these. There are no writing instruments anywhere near Mary. However, I have on very few occasions really studied female interactions with books in the Middle Ages outside of seeing images of them reading, with few notable exceptions including Margery Kempe, Marie de France, Christina of Markyate, Christine de Pizan, and Anna Bijins (but for my purposes here I am not referring to the ones who have become common knowledge). I was very much under the impression that these women were rarities, and that writing somehow had only belonged to men (and not because I ever thought women were illiterate, but simply because I assumed it was something they didn’t do regularly). To clarify further, I am not looking at what are now referred to as famous female authors of the medieval period such as Hildegard of Bingen (see below), but rather scribes, practically anonymous, yet doing works comparable to those done by men and providing us not with manuscripts they wrote, but rather that they copied. The importance here lies with my understanding of how scribes operated. Despite the numerous jokes of scribes being the medieval equivalent of Xerox machines (also see below), they had considerable control over their respective texts. While authorship is of great concern to me, it is intricately tied in with scribal activity. There are times when I will make arguments that scribes could not have altered a certain text (an argument I will be presenting later this year in October on an unrelated topic), while in regards to other manuscripts I will argue that it was most certainly scribal hands that altered the piece (which I will also be presenting in January of next year on another unrelated topic). In short, there is no clear cut answer to what scribes have or have not done. Nevertheless, scribes played a significant role within manuscript creation: they corrected simple errors; performed the medieval equivalent of fact checking; edited; provided incipits, explicits, and marginalia; and created or recreated material out of either necessity or preference. 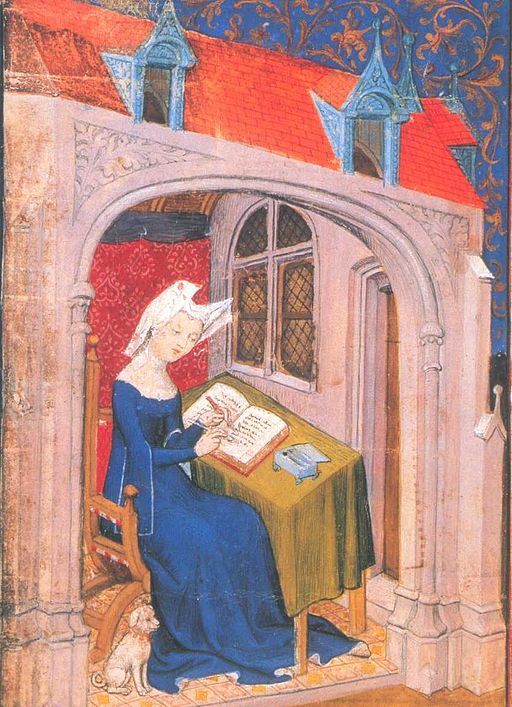 So while I have been aware of female authors of the medieval period, it was the purely scribal enterprise that has remained rather murky for me since I had not previously heard of women doing any of the above. Since a large part of manuscripts were written in monasteries, I began looking at how (and if) the Rule of Saint Benedict applied to convents. 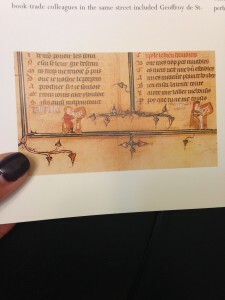 Even though the rule does not overtly prescribe manuscript creation in the monasteries, it is implied that it would be one of the works monks performed, and was interpreted as such during the Middle Ages. Monasteries were of three kinds: all male, all female, or mixed. 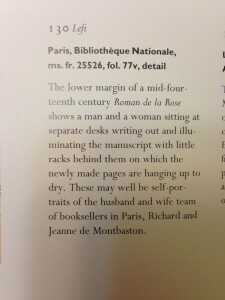 The all male and mixed types regularly had scriptoriums and/or libraries for reading and manuscript making. 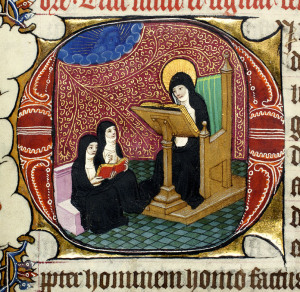 However, the all female convents often lacked the funding or space for scriptoriums (even though they did have libraries of various sizes – beginning in the fifth century all nuns were required to be able to read and devote at least two hours a day to religious study). Yet it must be noted that since the convents lacked the funds of all male monasteries, it can be inferred that the nuns had little choice but to copy their own books. There are strands of scholarship that believe the differences between male and female handwriting can be discerned, and various assumptions about predominantly female writing have been made, with the idea of making it easier to identify those texts written by women. Supposedly, if one were to believe these theories, women have more careful, dainty, and slanted writing. Honestly I don’t believe this, and have found most conjectures about female writing are based more on attributes associated with women in general rather than their writing, and seem to have no basis on paleographic evidence. Not to mention, some female scribes were illuminators, such as Thomase from France in 1313, which complicates the matter of tracing their work, even if only slightly. In this case handwriting is no longer the determining factor, but rather artistic style that often depended on where they were taught, and/or (if any) atelier where they worked. Several illuminators, male and female, could have used identical styles with only slight variances, making it rather difficult to discern who worked on what outside of personal signatures or subtle indications. Another part of the problem was that so few scribes (male or female) signed their names to their works, and even when colophons were included, they were often ambiguous. However, there are a few instances where this is not the case. One of the earliest known scribes to indicate a name happens to be a woman, Irmingart, in the twelfth century. Another instance I found was of Mechtilde of Diessen. While there are numerous mentions of her genealogy and her performance of miracles, only one mention of her writing exists. 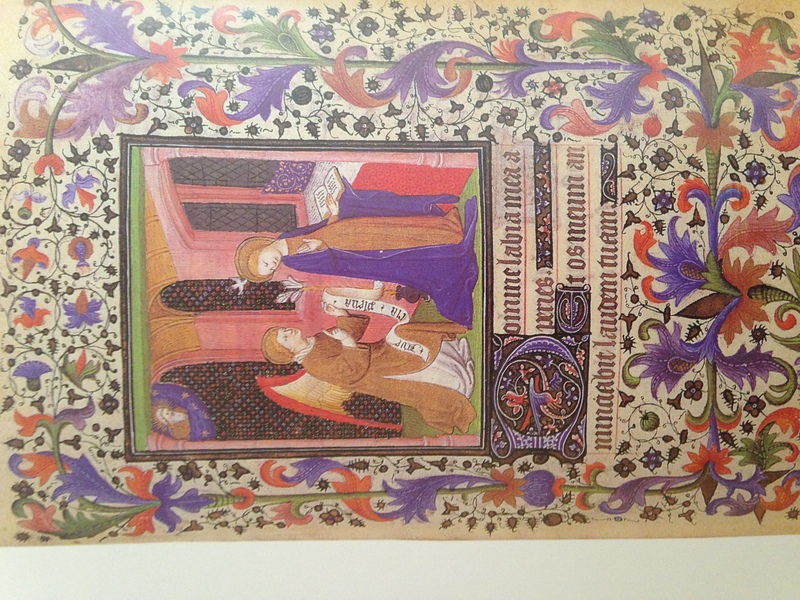 An additional husband and wife team of scribes created one Book of Hours of the Use of Besancon around 1410. The scribe Alan signed the manuscript and stated that his wife provided the illuminations (Paris, Bibliotheque National, MS Lat. 1169). I am unable to find pictures of this manuscript to verify this, but from what I am gathering, the illuminations, and manuscript as a whole was of inferior quality and most likely intended for private use by the family. Another study I found I do not have full access to so I can’t really comment on, but it seems very interesting, outlining the role of female scribes during the editing process of Dutch “father confessor sermons,” that were apparently completely handed off to these women to copy, and who consequently took some liberties with the texts. Personally, the most fascinating instance of female scribal activity (and one that I would love to look further into for a later project) is the earliest dated Lancelot manuscript from 1274 (Paris, Bibliotheque Nationale MS fr. 342). The scribe’s identity remains unknown, and the manuscript ends with a normal enough request that the reader pray for the scribe, but it reads “pries pour ce li ki lescrist,” and “ce li” is a feminine pronoun. This may well end up being another one of my dead end research projects as I have already exhausted my university’s resources with no more luck than two sources that provide little more information that what I have stated in this paragraph. I am going to have to do some backtracking and find other manuscripts written around the same time and place and begin comparisons, which of course this means I am going to have to rely solely on digitized manuscripts. In all honesty I am not sure how feasible this will be at this point, especially since I am actually supposed to be conducting other research right now. But I am pretty sure if I keep at it I can get it done within the next year (Hopefully!). As can be seen, this is still a preliminary exploration of the role women played within the scribal community. Even as I find instances of their activities there is yet more to be found on the extent to which they participate within the complicated editing process of their respective manuscripts. In the meantime, I hope this helps someone somewhere. Backhouse, Jane. 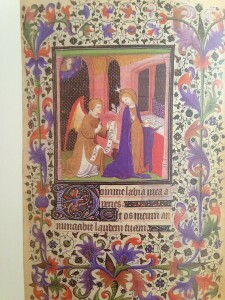 The Illuminated Manuscript. Beach, Alison. 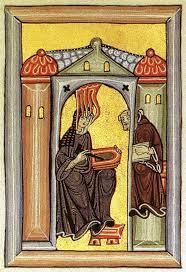 Women as Scribes: Book Production and Monastic Reform in Twelfth Century Bavaria. De Hamel, Christopher. Scribes an Illuminators. — A History of Illuminated Manuscripts. Fisher, Matthew. Scribal Authorship and the Writing of History in Medieval England. Hamburger, Jeffrey. 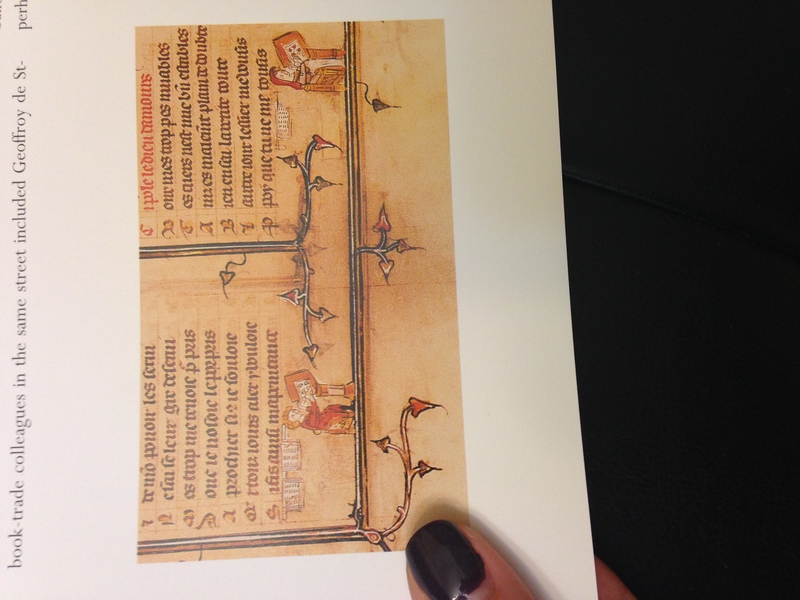 Nuns as Artists: The Visual Culture of a Medieval Convent. Putnam, G.H. Books and Their Makers in the Middle Ages. Fun stuff. You should also look to the essays in the new series, first vol. 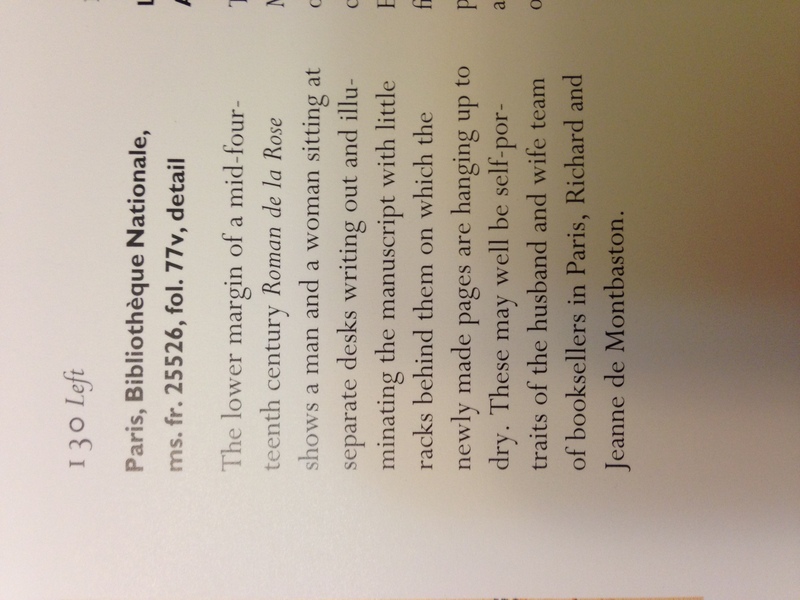 _Women and Writing, c. 1340-c.1650, ed. Anne Lawrence-Mathers and Phillipa Hardman (York, 2010). Thank you! That book looks very exciting (and quite promising). I actually just searched for it and found it at the UCLA library, so I will be making my way over there in the next few days. (I am really hoping to eventually turn this into something more than just a blog post). As I have it out from the library, please don’t recall it. Maybe coffee and a photocopy? I haven’t the slightest clue why your comment went into the spam folder and I didn’t get a chance to see it sooner. Sorry about that. And thank you for letting me know you have it as I was unknowingly about to head over there on Thursday (which I am still going to do, but for other reasons). No, I shall not recall it… that would not be very nice. Coffee and a photocopy sounds excellent! Will you be on campus at all this summer? Not to worry. I’ll scan the essay I need when I’m on campus tomorrow and return the volume. I’m a bit busy before NCS, but will be on campus regularly in August. Absolutely let’s meet up then for a chat. While looking into “Pries pour ce li ki lescrist” I found this book: “Universal Palaeography: Or, Fac- similes of Writing of all Nations and Periods”. On page 520 It states that the author is a Pierre Palmier. Is that a female name? Is this a different manuscript done in the same year? Ashley, thank you for this information. I looked up the source, and from the description of the manuscript (layout, number of folios, colophon, and disparate quotes), it appears to be the very same manuscript I am working with. I really do wish he had used shelf marks. 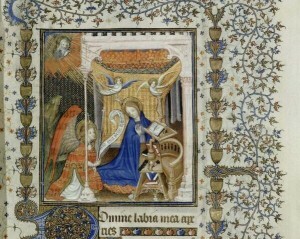 However, the earliest reference to a Pierre Palmier (which is not a female name, and probably not a nom de plume), is in the mid sixteenth century, in several other sources that place him as an “archeveque de Vienne.” While lack of records in no way indicate lack of existence, there are a few details described in Universal Paleography that are rather problematic. Within the sources that make mention of the Palmier I was able to find, namely works by or about Michel Servatus who looked up to the archbishop, it appears Palmier thrived, created, and supported a locus of intellectualism. He had access to a multitude of manuscripts and did not confine himself to a single genre, or field. More interestingly, he expanded much energy on moral texts and theology, which actually really play well into the larger argument I am creating for this manuscript. Further, Palmier predates Jean Baptiste de La Curne who is cited to have discovered Palmier’s name in a flyleaf that has since then become lost. This is the part of the history that I am having trouble with. While the source says Pierre’s name is written in the same hand as the rest of the manuscript, since access to that page is lost, I am suspicious as to why it is on a separate page from the larger colophon, or not even included in the original. In other words, why two colophons? And why a flyleaf? I would be more inclined to believe the manuscript was once a gift “escrit *pour* les mains de Pierre Palmier” as opposed to “par.” This of course raises other questions, especially since, if we are looking at the same Pierre Palmier, the manuscript was written nearly 300 years prior to his existence – I would though take this inscription more as a gesture, so well fitting with his interests to have been practically written for him a priori. However, Universal Paleography contains many other things of interest, and I am very fortunate to have been given this reference!